First off, happy new year! Second, did you make any new year's resolutions for your email marketing efforts? If you're still working on them, you might want to check out our 9 Email marketing trends to watch in 2019 while you’re putting together your plan. This is sort of like running a bunch of mini A/B tests, testing how much engagement we get by each hour of the day. If all goes as expected, we should get a result like the graph below which shows what the top engagement time over the next 24 hours are for all of you, our subscribers. We'll let you know how it goes in an upcoming blog post. In the meantime, I wanted to talk a little bit about one of the most interesting findings from some of the A/B tests we conducted in 2018. Seventh Sense uses randomized send times to find the best time to email people who have never engaged before. But I often get the question, why don’t you send to these people at the top engagement time for my list of subscribers? If we know that some times are better than others, why not start at those aggregate top times? The primary reason is that we’ve found randomization, or simply spreading out the delivery of email over a longer period of time, increases engagement more than sending at a list's top engagement time. While email service providers are very secretive about their filtering processes, it’s likely that one of the factors used in identifying “bulk senders” is how many emails you're sending at a time. For this reason, simply throttling outbound email may help land more messages in the inbox. The second reason is because despite their being a top engagement time for your list of email subscribers, that peak is still only the top time for a small fraction of your list, usually less than 7%. By randomizing your early mailings to new subscribers, Seventh Sense can build a better profile for each new person you add to your database. 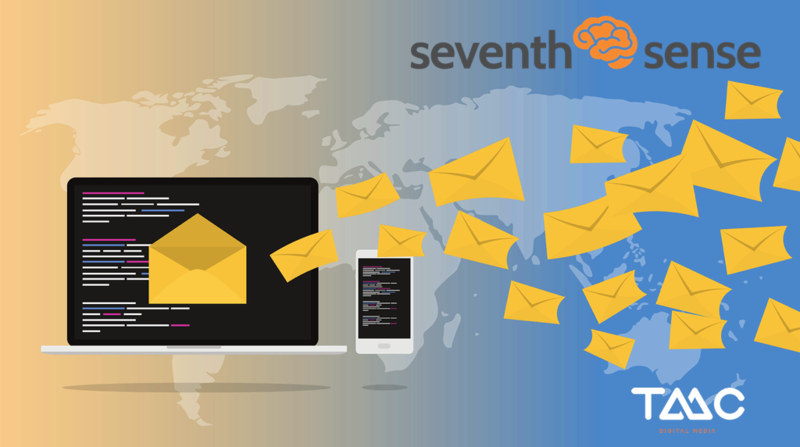 If you're not using Seventh Sense to schedule your emails in conjunction with TMC, you can still improve your deliverability by sending out smaller and more targeted batches of emails at a time. If you are segmenting your list well, smaller mailings will be a natural side effect. Most marketers know the importance having a call to action in marketing emails, but many forget that a call-to-action can also come in the form of asking a question or encouraging users to reply. Replies may ultimately be the most powerful response you can get as they mean you're starting real conversations with your subscribers. It should go without saying, but before asking users to reply make sure you're sending from a real address (not noreply@) and that someone is checking the inbound emails. Or if you want to automate the process of managing your email replies, you can always use a service like LeadGnome. To see our hour-long webinar with Mike and to learn even more about email marketing best practices, be sure to visit our webinar archive page.